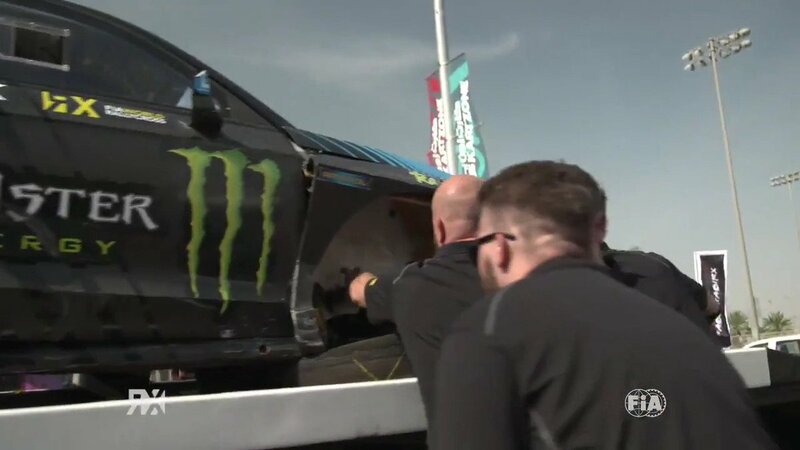 Sweden’s Johan Kristoffersson has produced another dominant display in the FIA World Rallycross Championship presented by Monster Energy after winning today’s World RX of Canada, round eight of the World Championship. The victory is Kristoffersson’s third event win in a row – and fourth of the season – and has seen the Swede extend his lead at the top of the driver standings by 35 points. It is also the first time in World RX history that a driver has finished on the podium in seven consecutive events. Two-time World RX Champion Petter Solberg finished runner-up, making it a one-two for PSRX Volkswagen Sweden this weekend. Team Peugeot-Hansen’s Sebastien Loeb took the third podium spot. EKS driver Topi Heikkinen is the only driver to have reached every Canadian final since it was introduced to the World Championship in 2014. He was awarded the Monster Energy Super Charge Award following his rapid launch on the start of today’s final but was denied a podium spot due to a slow puncture. Canada RX winner Kristoffersson credited his team in the end of event press conference. “This win is definitely a team effort, they really deserve it as they work so hard. We had very tricky conditions and yesterday was so wet - for the team to deliver a car that is both consistent with the launches and out on the track is a huge credit to the them. Obviously I’d love to make the podium on every event this year but I don’t like to take risks - the biggest and most important trophy is the one at the end of the year so I need to focus on that. I’m very happy to take 30 points this weekend and I will continue to try to do so but without taking risks. MJP Racing Team Austria’s Kevin Eriksson had another solid weekend in his Ford Fiesta RX Supercar finishing fourth, one spot ahead of Heikkinen. Team Peugeot-Hansen’s Timmy Hansen finished sixth after the Swede retired from the final on the penultimate lap due to a technical issue with his car. Reigning Champion Mattias Ekstrom ended the seventh overall after the Swede suffered from a clutch problem which dropped him to the back of his semi-final. Meanwhile temperature problems denied Janis Baumanis a spot in the final and the Latvian STARD driver finished in eighth place. Elsewhere Hoonigan Racing Division’s Ken Block finished ninth with Kevin Hansen rounding out the top ten. In the RX2 International Series presented by Cooper Tires, it was Frenchman Cyril Raymond who returned to the top of the podium after a lights-to-flag victory in today’s final. Belgium’s Guillaume De Ridder finished second, while American Tanner Whitten took the third podium spot. Great Britain’s Dan Rooke was leading overnight but a collision caused the 20-year-old to retire from the final. In the overall RX2 standings, Raymond now leads Rooke by 14 points. Raymond concluded: “Two years ago it was my first RX2 experience in Canada where I finished second so I had some good memories here. I want to thank my team for everything they have done – it was very wet yesterday but I like these conditions as it means we have to adapt and everyone is in the same position. Sixty points still up for grabs but I have a good gap, it will be very hard in Loheac as I will have a lot of pressure being my home race. For sure, it will be a big battle with Dan [Rooke]. Niclas Gronholm #68, loss of 15 Championship points for use of a fourth engine seal. Andreas Backman #19, five-second penalty in Q1 for track limits offences. Glenn Haug #9, five-second penalty in Q2 for causing an avoidable collision. Cyril Raymond #13, warning in Q1 for a track limits offence. Cyril Raymond #13, reprimand in Q4 for pushing and not respecting other cars.